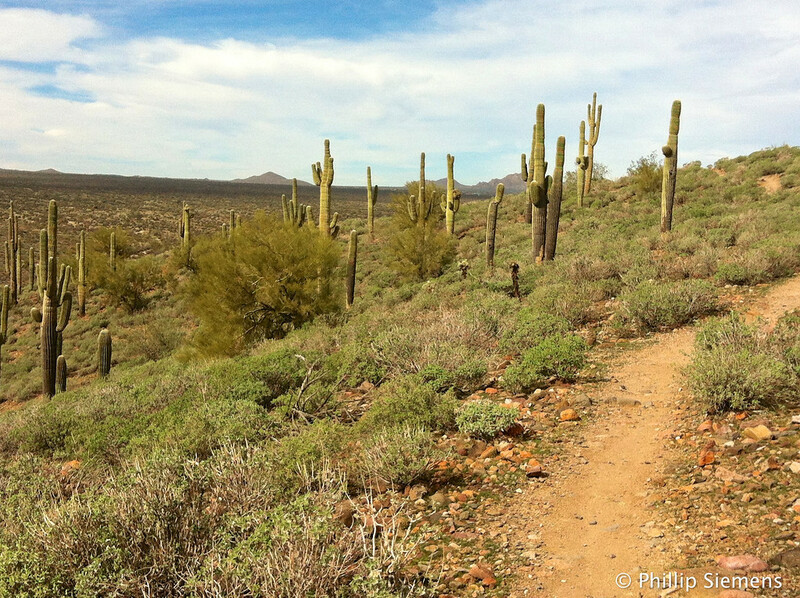 For our first day of hiking in the Phoenix we went to McDowell Mountain Regional Park near Fountain Hills. On the way I realized the location of our motel was not the best—it took nearly an hour to drive to this park. This was a nice hike, densely packed with geocaches and lots of cactus. After hiking we got a coffee at Fountain Park and watched the huge fountain for a bit, then grabbed a few more nearby drive-up caches. At sundown we ate on the patio at Sofrita’s. It was quite good. 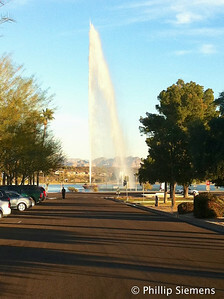 I think the namesake fountain in the park is the highest I’ve ever seen. On our drive back to our motel we stopped at a Costco for gas and got a frozen yogurt (our high class dessert). 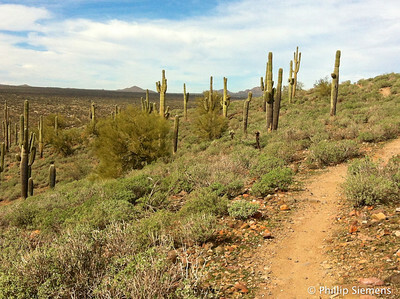 The next day we hiked at the Lost Dutchman State Park east of Phoenix. 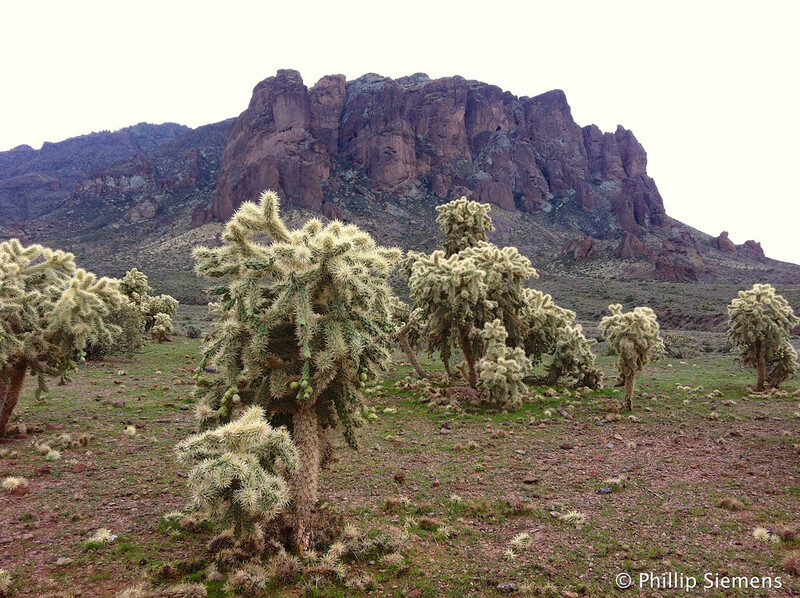 Actually, we parked in the state park, but did most of our hiking in the Superstition Mountains wilderness area. There are a couple of very rugged peaks here, but we only hiked near the base. If we ever get back to the area I would love to do some scrambling up towards the top.